Frida Kahlo channeled her energy and emotion into her artworks and her many pets – monkeys, dogs, birds and a fawn – which lived at her home, Casa Azul (Blue House) in Coyoacán, Mexico City. Of her 143 paintings, 55 are self portraits which feature her treasured animals and incorporate symbolic portrayals of physical and psychological wounds. Perhaps one of the most famous is her Self Portrait with Monkeys from 1943. 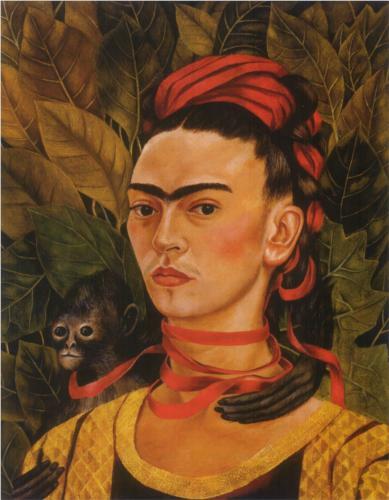 The iconic black-haired, unibrowed Kahlo is surrounded by three black spider monkeys, their arms wrapped around her. 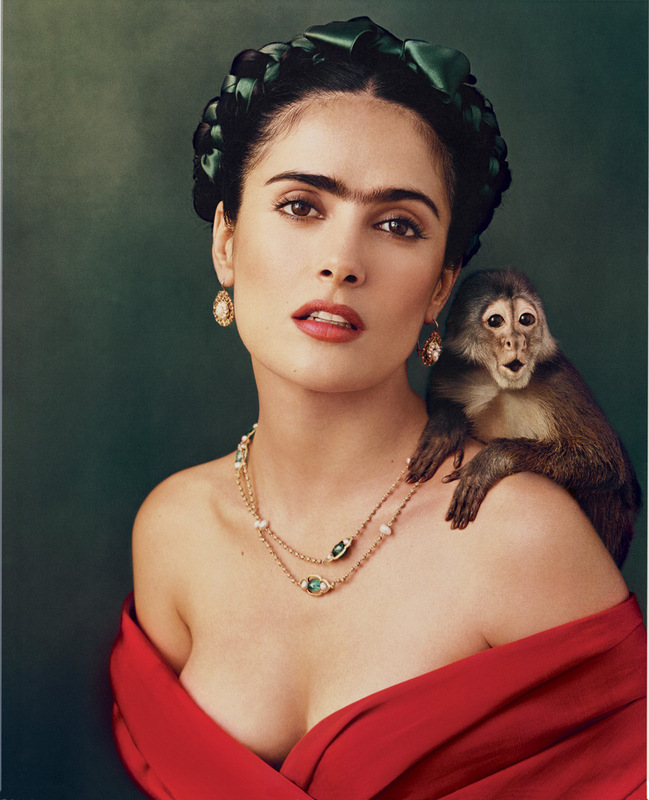 In Mexican mythology, monkeys are symbols of lust, but Kahlo portrayed them as tender and protective symbols. Kahlo’s pet primates were a spider monkey named Fulang Chang (a gift from her husband) and another, Caimito de Guayabal. The species is recognised by disproportionately long limbs and long Prehensile tail and are normally found in the tropical forests of Central and South America. Whilst there are many examples of pet monkeys (Michael Jackson‘s Bubbles just one), they are widely considered to be unsuitable for the home environment. Once they reach sexual maturity, monkeys can become aggressive and can harbour disease. As a young artist, Frida Kahlo approached the famous Mexican painter, Diego Rivera, whose work she admired, asking him for advice about pursuing art as a career. He immediately recognized her talent and her unique expression as truly special and uniquely Mexican. 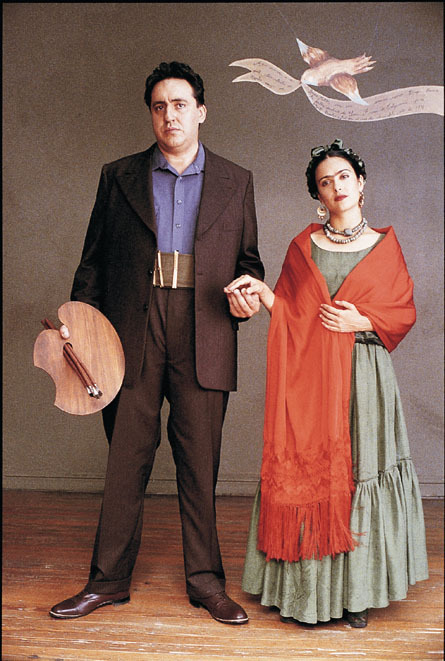 He encouraged her development as an artist and soon began an intimate relationship with Frida. They were married in 1929, despite the disapproval of Frida’s mother. 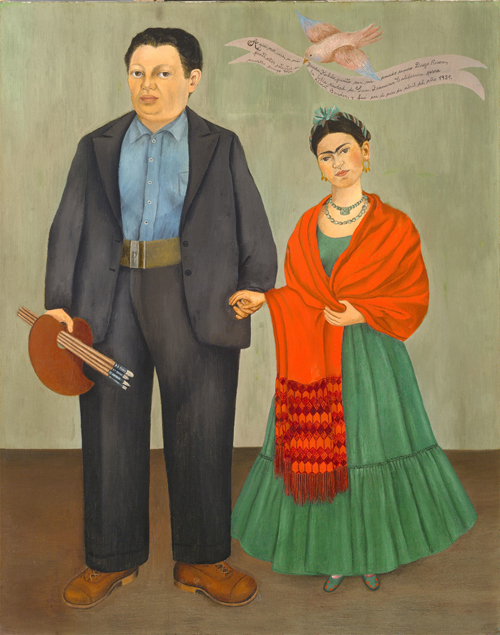 They often were referred to as The Elephant and the Dove, a nickname that originated when Kahlo’s father used it to express their extreme difference in size.